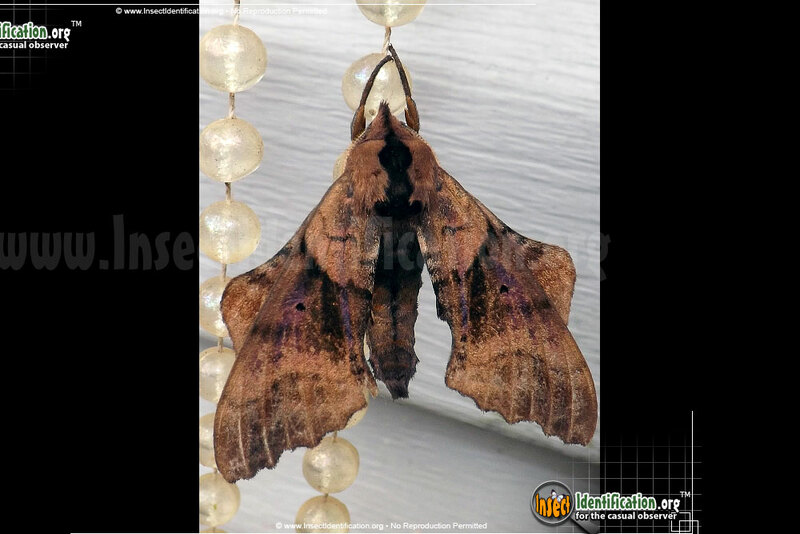 Detailing the physical features, habits, territorial reach and other identifying qualities of the Blinded Sphinx Moth. The Blinded Sphinx Moth has vision, but its well-camouflaged caterpillar and pupa make it difficult for observers to see them. 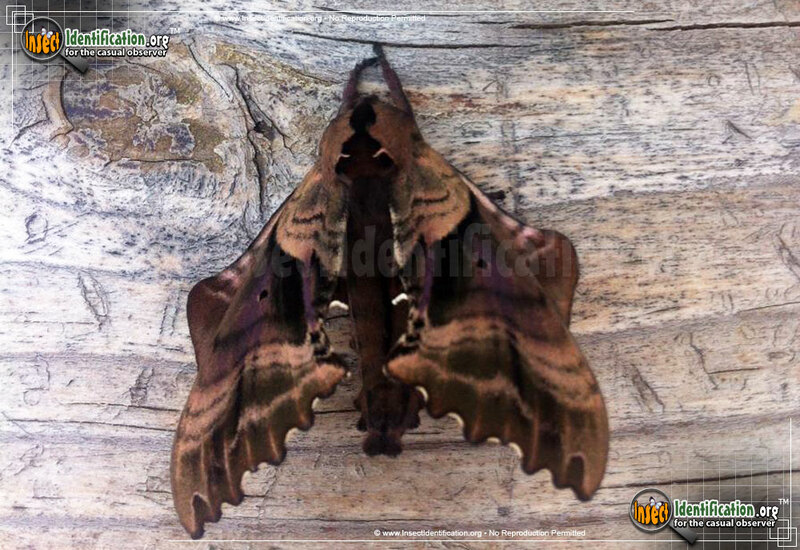 Many moths and butterflies have eyespots, which are circles of rich color usually centered around a black dot which mimics a pupil. The Blinded Sphinx has a large blue eyespot on the hindwing that is only visible when the wings are spread open. This eyespot is missing its pupil, and if a human eye lacked a pupil, vision would be unlikely. This unusual distinction led to its confusing common name. 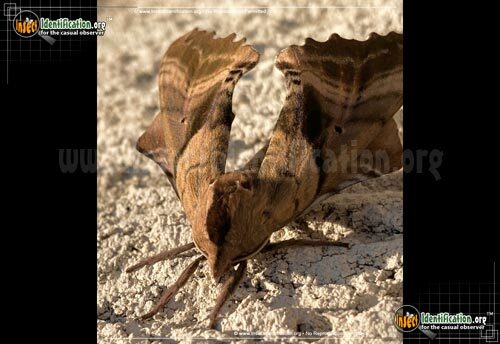 Blinded Sphinxes have eyes on their head and can see just as well as any other moth. They are medium brown with darker patches in the center of their forewings. A purple overlay may cover the darker patch. Bottom edges of the forewings are curvy with a thin white and brown border. The smaller hindwings have an unusual bulge at the outer tips which creates a strange silhouette if the larger wings are not covering them. In addition to the aforementioned blue eyespots, the hindwings also have bright pink coloring near the body. The bottom edges of the wings are also scalloped. Blinded Sphinx Moth caterpillars are soft and green. They eat the leaves of various deciduous trees like birch, poplar, black cherry, willow and basswood. They are safe to handle despite the soft horn, or spike, at the rear. The young caterpillars blend in well among green foliage and are hopefully overlooked by hungry birds and parasitic wasps. This species pupates in the fall and creates a brown cocoon among dead leaves, successfully camouflaging it from predators. It will emerge in the spring as a winged adult. Adults do not eat. They focus all their attention to reproduction. They are nocturnal and attracted to lights at night.